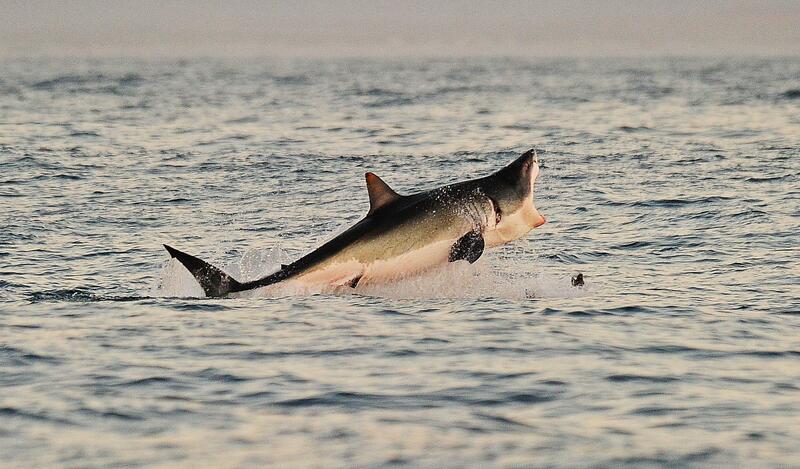 A Great White shark jumps out of the water as it hunts seals near False Bay, off the coast of South Africa, last year. This faded when Australian surgeon Victor Coppleson concluded in a 1933 article in the Medical Journal of Australia that “the evidence sharks will attack man is complete.” The first New Orleans Shark Symposium in 1958 cemented “attack” language in the scientific community. Human-shark encounters are always called attacks even when there is no contact, artificially amplifying the numbers. What’s more, no distinction is made for minor bites from non-threatening species. In Australia, 13 per cent of all “attacks” come from small wobbegong sharks, which bite when stepped on. Under the existing system, the public is unable to tell scratches from fatalities, boats from people, or wobbegongs from great whites. Finally, “attack” terminology creates an inappropriate connection between scientific reasoning and tabloid journalism. If there is no separation between science and sensationalism, then educating the public about true shark behavior is more difficult. This piece originally ran in The New Scientist. Christopher Neff is studying the politics of shark bites at the University of Sydney, Australia.